Olivas Links Golf Course is located in Ventura County just 60 minutes north of Los Angeles, and 40 minutes south of Santa Barbara. Conveniently located off the 101 freeway, the golf course is within 3 miles of Buenaventura Golf Course, in the beautiful beach community of Ventura, California. Olivas Links offers a natural golf experience unique to Ventura County. 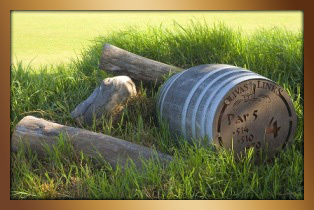 The rustic tranquility of Olivas Links transports players to a place where the competition is between man and nature. Olivas Links showcases views of the Ventura Harbor, Ventura hillside, and the Channel Islands. Owned by the City of Ventura, Olivas Links provides golfers with the opportunity to play in a temperate climate with coastal beauty. With four distinct sets of tees, Olivas Links challenges players of all abilities, offering various shot-making options. The practice facility is an acre and a half featuring grass tees, with five bunkered target greens. A pair of bent grass greens allow players to practice a variety of short shots and a putting surface that deliver a true roll and consistent speed. Visit our Meet our Staff page for a helpful list of emails to help make your experience at Olivas Links the best possible. With four sets of tees, Olivas Links enables players of all abilities to play a course that matches their skills. 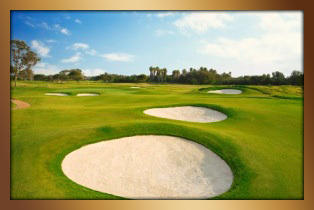 Olivas Links offers players many different ways to play the golf course, encouraging a variety of different shots players may choose to play at any one time. Links-style golf offers players numerous shot options and club selections throughout the course. Around the greens, creative shot making at Olivas Links adds an element of interest, seldom found at modern golf courses.